William Henry Nantes (born Wilhelm Heinrich Nantes) is believed to have been born in Bremen, Germany in 1764, where his family were merchants engaged in overseas trade. From Bremen he and his uncle Daniel Nantes moved to London. It was very usual in the eighteenth century for German merchant houses to set up branches in the English capital as London had become the centre of world trade. By the late eighteenth century Henry Nantes and his uncle Daniel were clearly recognisable as part of a community of German merchants trading from London. 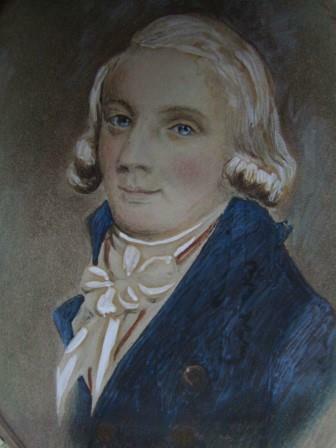 In 1793 Henry married Marianne, the daughter of Henry Voguell, the head of another London-based German merchant family. Based on a variety of evidence Henry would appear to have prospered. He ran the merchant house of Muilman & Co. (also sometimes known as Muilman and Nantes) from Warnford Court, Throgmorton Street, in the City of London. He owned Sherwood House, a comfortable villa in Battersea that would later become home to Maria Fitzherbert, the Prince of Wales's (later George IV) mistress. His trading activities connected him to many parts of the world including North America, the West Indies, Guyana, Haiti, and the Far East. Not surprisingly commercial operations included plantation ownership and trade in slaves. Henry Nantes hit the headlines in 1797 when, after unsuccessful speculation, his merchant house failed with debts of nearly half a million pounds. 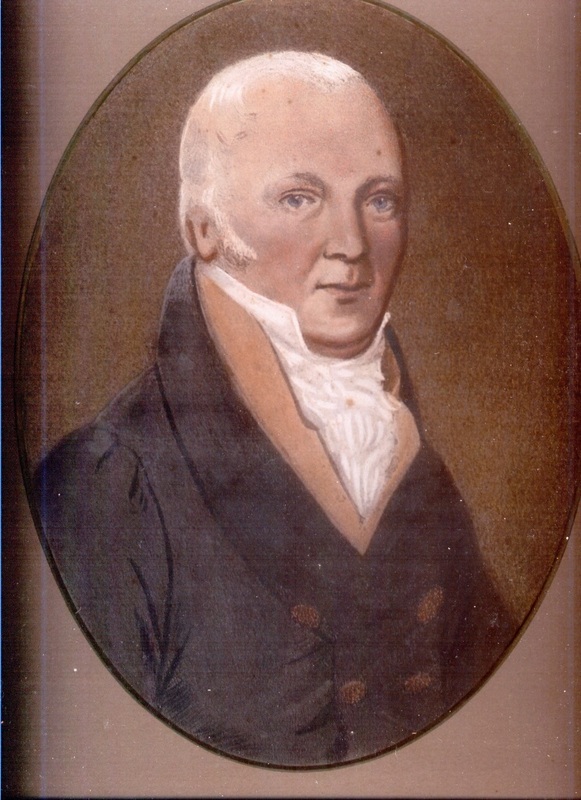 He had been in partnership with Richard Muilman, who was from a prominent Dutch merchant family, and who later adopted the name Trench Chiswell and was elected Member of Parliament for Aldborough 1790 - 1797. In 1797 serious financial problems caused Muilman/Chiswell to shoot himself. Meanwhile, a 'bankruptcy commission was issued against Henry Nantes. Subsequently he decamped to the Isle of Man, where he lived for several years. This may have been for the purposes of avoiding his creditors. By 1814 he had moved to Kenwith Lodge near Bideford in Devon, where he was again listed as a merchant. It is largely as a result of these unfortunate events that information about Henry Nantes's bankruptcy has survived. Henry Nantes, probably before his bankruptcy. German economic historian Margrit Schulte Beerbühl has written extensively on Henry Nantes's business activities and also about his bankruptcy in a number of publications, in particular in The Forgotten Majority: German Merchants in London, Naturalisation, and Global Trade 1660-1815 (London, 2015). The book can be purchased from online retailers. The Henry Nantes Project website has been created to support research into the life and activities of the London merchant of German origin, Henry Nantes (Bremen, 1764 - Devon, 1836). This research is being conducted as part of wider research into the experiences of eighteenth-century English bankrupts. So far information and material on Henry Nantes has come from a wide variety of sources and individuals. If you are able to help with any information on Henry Nantes, it will be greatly appreciated. 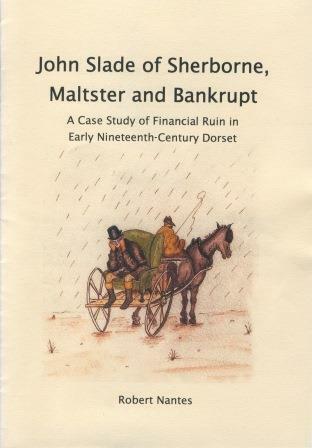 John Slade of Sherborne, Maltster and Bankrupt is the story of a provincial English bankrupt. It was very much a small town affair and not a fraction of the scale and complexity of the bankruptcies of bankers and some London merchants. It does, however, give considerable insight into what it was like to become a bankrupt in the early nineteenth century. The second edition (2017) includes new information and a number of revisions. Copies can be obtained directly from Sherborne Musuem, Dorset. researching eighteenth-century English bankrupts at the University of Exeter. Henry Nantes is one of his case studies. Robert graduated with a BA in Film and Television production from the (now disappeared) radical and experimental film school that once existed at the (now merged) London School of Printing. He also holds an MA in Education from the Institute of Education, University of London, and an MA in History from the University of Exeter. Henry Nantes, probably some years after his bankruptcy. Marcia is a descendant of Henry Nantes, and her site may be able to answer many genealogical questions. Other family history and genealogical sites which reference Henry Nantes can be easily found on the web.